Mac users can experience annoying pop-up message indicated as PEGASUS (SPYWARE) ACTIVATED and stating that your computer is infected. If you are seeing this pop-up, then you have a malware installed. But don’t panic, it’s not a dangerous virus, this type of malware can only hijack browser settings to cause the pop-up to display. Its sole purpose is to trick you into believing that you have a virus and thereby encourage people to call their fake support. PooleZoor is a ransomware virus created by Iranian hackers that targets English-speaking users. This virus encrypts personal files on victim’s PC so that he can’t access them until all files are decrypted. To do this, users have to pay 10.000.000 Iranian rials that is approximately equal $237.50. However, we urgently advise you not to contact them and especially to make any concessions. 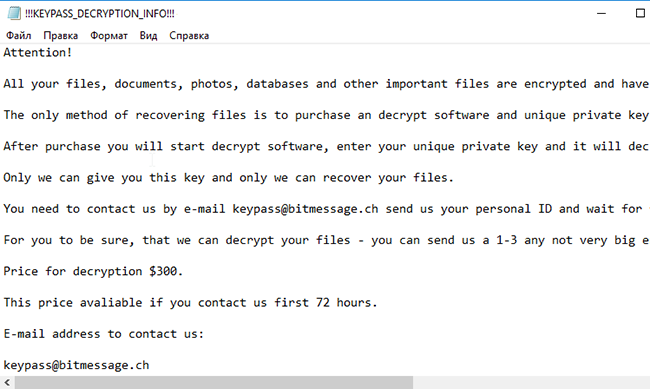 Keypass Ransomware is a "virus-encoder", that has been discovered at the beginning of August 2018. This virus operates quite the same way as any other ransomware: it encrypts sensitive files on the victim's computer adding some file extension, in this particular case is .KEYPASS. As a result, the user unable to use them until they are decrypted. 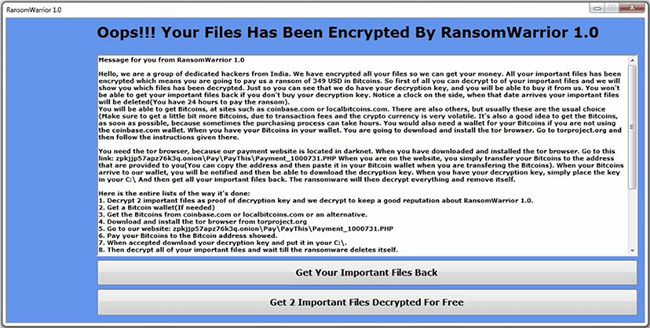 RansomWarrior Ransomware is a data-kidnapping virus from Indian hackers that extorts money of 349 USD in Bitcoins from users. It creeps into system by means of fake email messages with attached malicious files. The virus starts to infect system when the user opens this file. 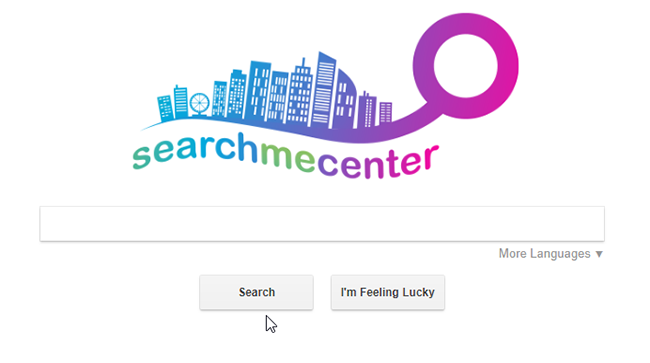 Search.searchmecenter.com may end up on your browser and replace your default search engine. If that happened, you have browser hijacker installed. This malware infects only Mac OS computers to make users visit affiliate websites. 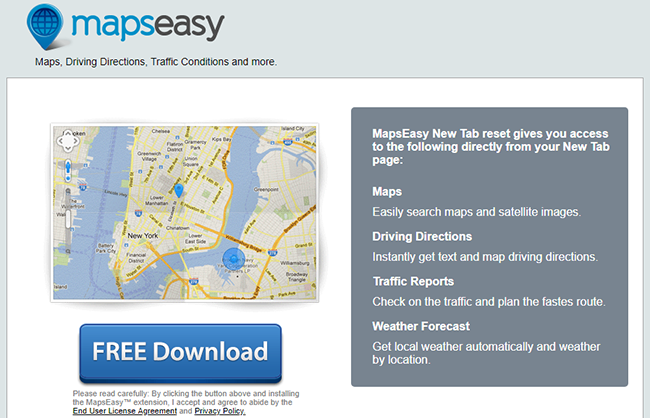 Mapseasy.net is presented as useful extension adding navigation features in your browser. In reality, it operates as a browser hijacker that changes new tab, search engine and homepage of your browser to http://search.mapseasy.net page. Moreover, it can reset browser configuration in case if the user wants to bring all back. 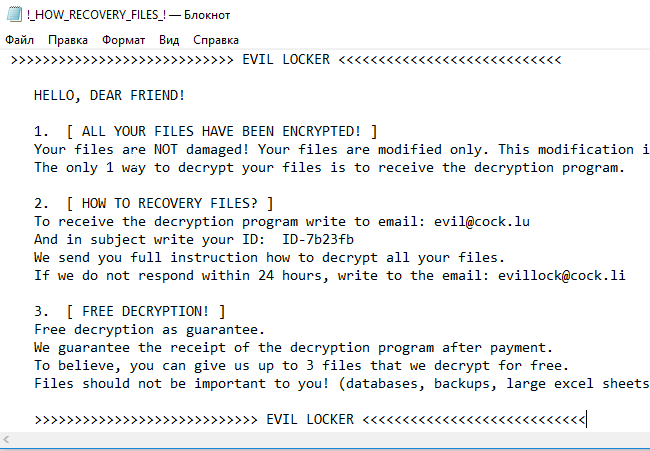 Evil Locker Ransomware is a data-kidnapping malware that encrypts personal files on victim’s computer. Cybercriminals use spam email campaign to spread their offspring. As a general rule, victims get a fraudulent email from some trustworthy and when he opens the attached file he simultaneously activates the virus. KillRabbit Ransomware is a new cryptoviral extortion that encodes users’ files with AES encryption algorythm. The most common distribution method for this type of malware is fraudulent spam emails containing malicious file which starts the encryption process. As a result, all user files become inaccessible. Umprow.com is a potentially unwanted program responsible for unwanted redirects and intrusive pop-up ads in your browser. This type of malware is classified as adware. An adware often infiltrates system along with shady freeware programs downloaded from the Web.